High Plateau Humane Society: Humane Society Starts GoFundMe Campaign to Build Pup Huts! Humane Society Starts GoFundMe Campaign to Build Pup Huts! Can't foster dogs yourself but want to find some way to help? Check out our GoFundMe campaign and spread the word!. THIS CAMPAIGN IS DEDICATE TO THE MEMORY OF FOSTER DAD WAYNE PIERCE (shown in the above photo with foster dog Elsa). 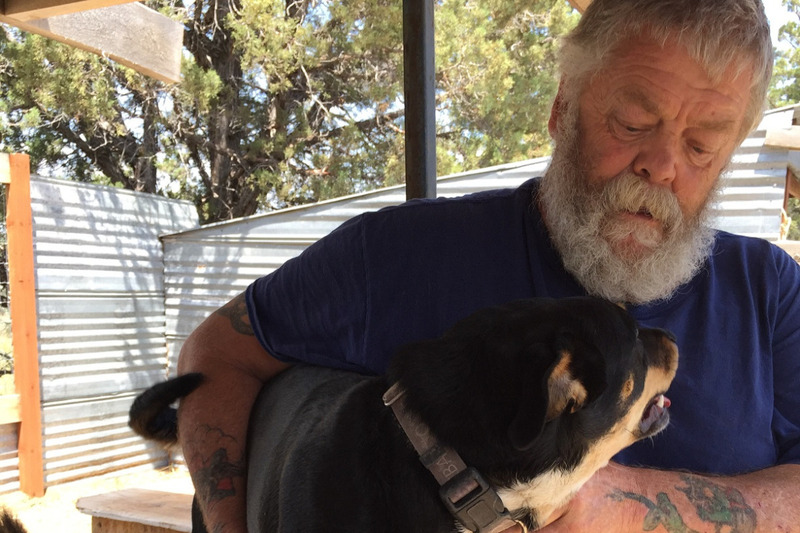 Wayne dedicated many years to fostering dogs for the High Plateau Humane Society and turned his property into a wonderful summer facility for our dogs. May you rest in peace Wayne, knowing we are doing everything we can to help all the dogs you loved.